Callender Howorth is one of the UK’s leading luxury interior architects. We offer a full range of bespoke interior design solutions including design and build services for homes and offices. By creating individually tailored projects of originality and quality, we focus on providing our clients with a highly personalised and empathetic process from initial consultation to project completion. From complete overhauls to custom furniture design, our clients are delighted with the sophisticated and livable interiors we create. Consult with Callender Howorth to find out how our project management services can help you. Callender Howorth is a full-service interior design company that employs a team of highly-qualified specialists in architectural best practice. Once a client has engaged our services, we will liaise with experts and manage the entire design and build process to ensure the project is carried out on budget and within the specified time constraints. Our attention to detail and years of experience means that we can anticipate potential problems, follow regulations and procure all services and equipment on our clients’ behalf. This allows clients to get on with their day-to-day lives with the peace of mind that we are driving progress. Thanks to years of experience in design and build projects, we have a fantastic network of trusted contractors, suppliers and traders. After we receive client approval on all design work, schedules, drawings, price estimates and quotations, we get to work. 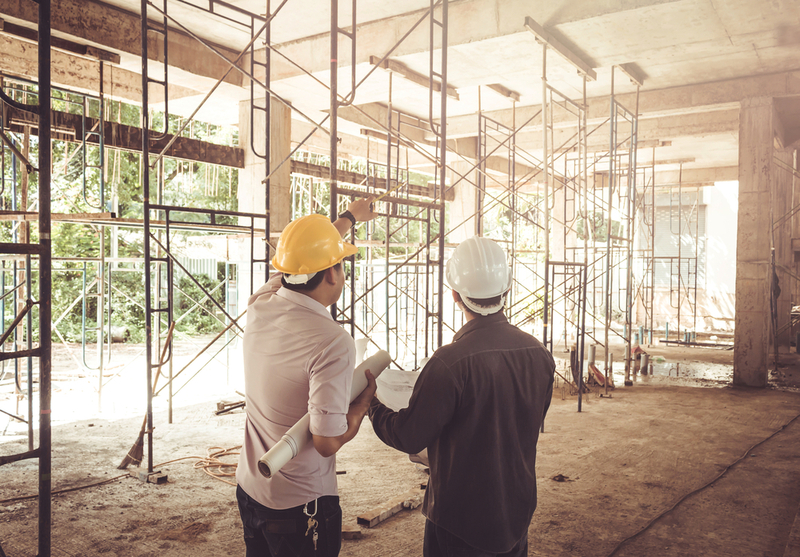 Callender Howorth co-ordinates all building services and carries out regular site visits, implementing fit-outs and finishing touches on your behalf. Naturally, we ensure that clear quality checks are in place with the same meticulous attention to detail that we have built our reputation upon. Who can benefit from our design and build services? We provide interior design and build services for residential and commercial properties. Whether you feel that your home or office is looking a little tired and in need of a facelift or you have purchased a completely new property and want us to work our magic, Callender Howorth’s impeccable service will exceed your expectations. We favour a collaborative process where our clients can input their opinions and preferences. During the initial consultation, we will determine what purpose you want for the space and consider factors such as lifestyle, taste and budget. Our experienced team will offer professional advice and keep you informed of key milestones throughout the project. 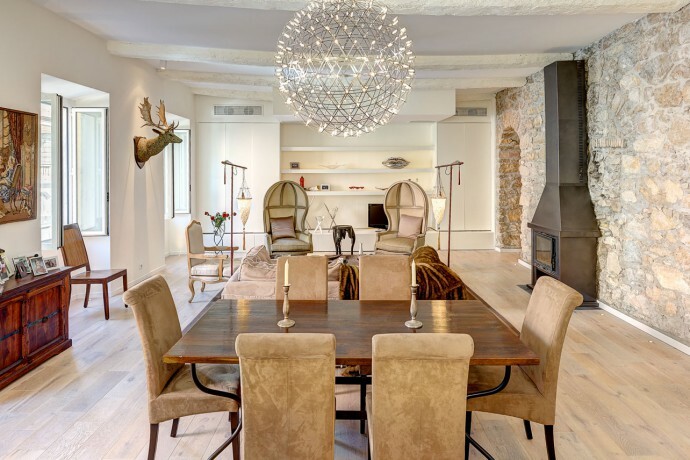 Callender Howorth has managed numerous interior design projects in the most prestigious areas of the UK and France. 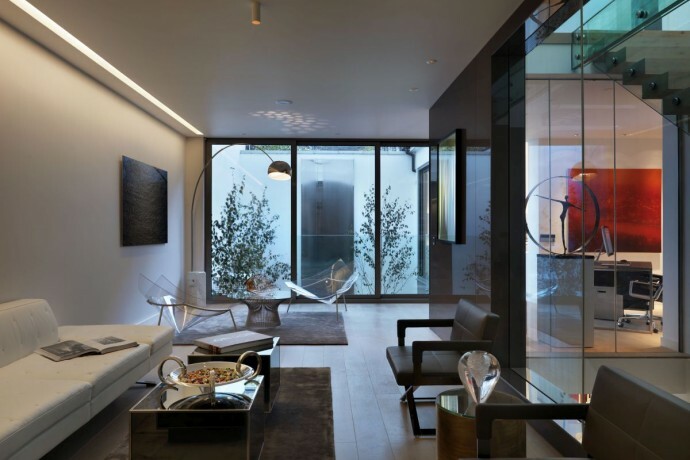 One of our most ambitious projects to date was the creation of a state-of-the-art ‘intelligent’ house in Regent’s Park. 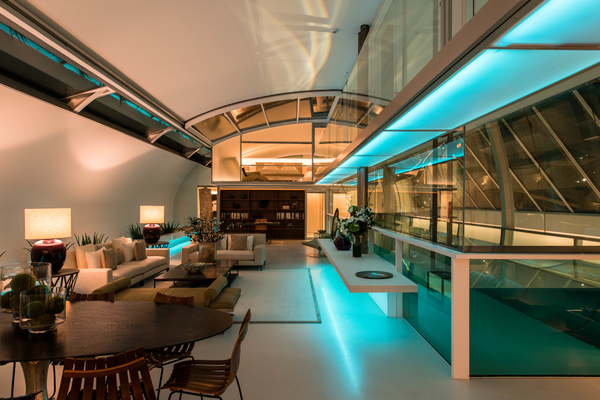 We created an awe-inspiring space filled with light that streams in from the huge glass roof panel. This soaring space complements the centrepiece swimming pool that stretches along the entire ground floor and can be accessed from the first-floor master bedroom. The slick modern decor gives this ultra-luxurious home a futuristic vibe, enhanced by the custom gullwing windows that open automatically to reveal the sky and stars. Please contact the dedicated team at Callender Howorth to discuss how our project management and building services can transform your home.